I enjoy reading books by new authors, finding out what their writing style is, and how much I am going to like their books. Blackburn did not disappoint, but exceeded my expectations. I love a good suspense novel, and good doesn't begin to describe this book. I made the mistake of starting the book one day on my lunch break at work, and man was it difficult to put the book aside to go back to work. The action and suspense start immediately, and never let up. The suspense: There were two mysteries going on at the same time. There were bodies being found that had been murdered, and the main chick, Leigh, had a stalker that grew more and more threatening and daring as the book raced towards an end. The characters: Characters can make or break a book, and Blackburn came up with some awesome characters for this book and series. The two main characters, Ryan & Leigh were very easy to like and get caught up in their story. The dive team over all was also full of great characters, and I found myself hoping the next book would be about Gabe Sanchez, but I don't think it will be. The romance: Maybe I am becoming a romantic sap, but I am enjoying the romantic parts of these books more than I used to. This one was more believable than some, in that the couple had had feelings for each other since high school, but Ryan had never acted on them because her brother had warned all his friends away from her....something that made the romance and story amusing. The bad guy: I like a book that is complex enough that you can't figure out a motive or who the killer is, and this book certainly fell into that category. It was interesting to read the theories as the team would gather to brainstorm, and the author made that interesting and believable, yet keeps the reader guessing who and why. The ending: What would a book be without an ending? And this one had a great one. I kind of guessed a certain thing would happen (no spoilers here! ), but when it did happen I still was kept guessing what was going to happen next. The book came to a very suspenseful and climatic happening, followed by the romantic ending....which I thoroughly enjoyed and approved of. This lady can indeed write a great suspense novel that has everything I enjoy, and had me turning pages as fast as I could read them. 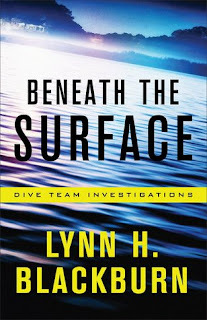 I am definitely looking forward to reading more about this great team of investigators, and am eyeing the author's Love Inspired Suspense novels. Definitely 5 star material here. Check out her website at LynnHBlackburn.com. 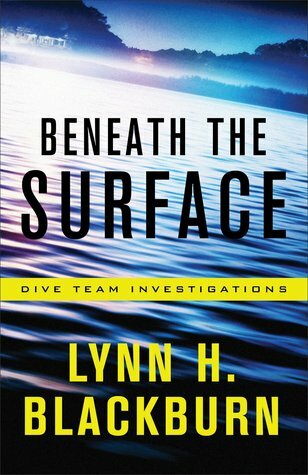 Beneath the Surface is available March 6 from Revell Publishing, part of the Baker Publishing Group. And I'm thrilled to have you on my street team!